The keys to a successful Autumn are here! February flew away, the ocean temperature is over 24 degrees in Sydney and we are already in … Autumn! We are looking forward to helping you succeed down under and have compiled our best of in this newsletter. 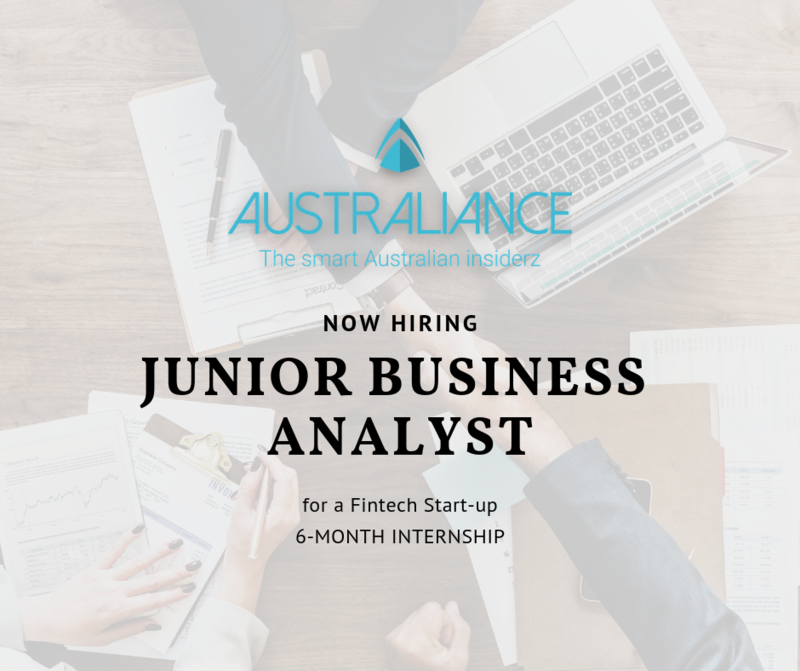 Find below a summary of our latest articles, upcoming events and career opportunities/ internships in Australia. 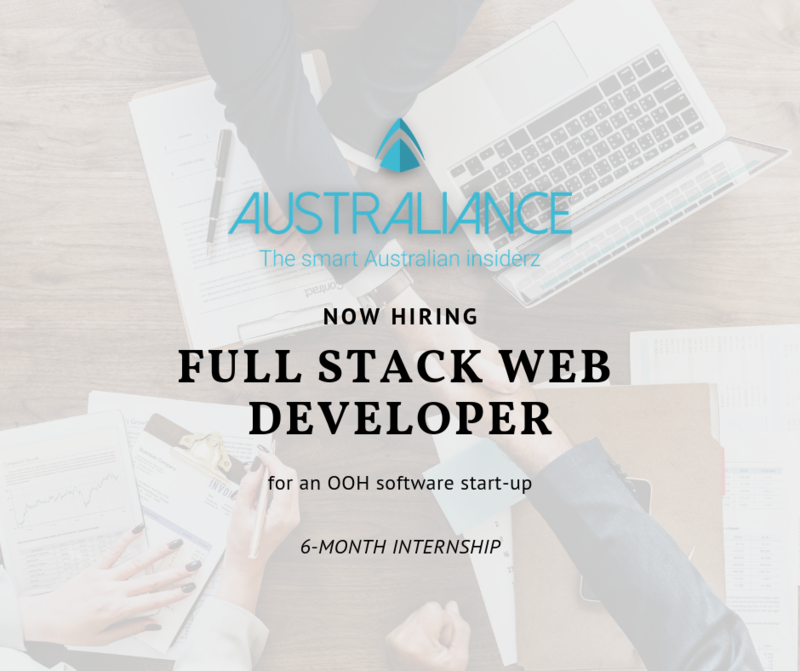 If you like one of our proposed opportunities, feel free to apply ! 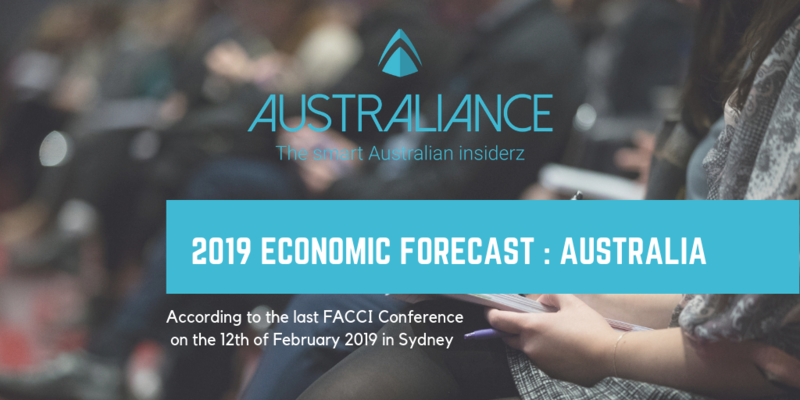 The Australiance team had the opportunity to attend a conference organised by the French-Australian Chamber of Commerce & Industry (FACCI), on the 12th of February in Sydney. Australiance has summed up the key take aways of addressed by Paul Bloxham, Chief Economist of HSBC. Contact us here to know more! Our partner, English For French (E4F) gives you 3 tips to improve your pronunciation if you feel that your accent sounds a bit too French. If these 3 tips were useful to you, Australiance recommends you sign up to this upcoming course. 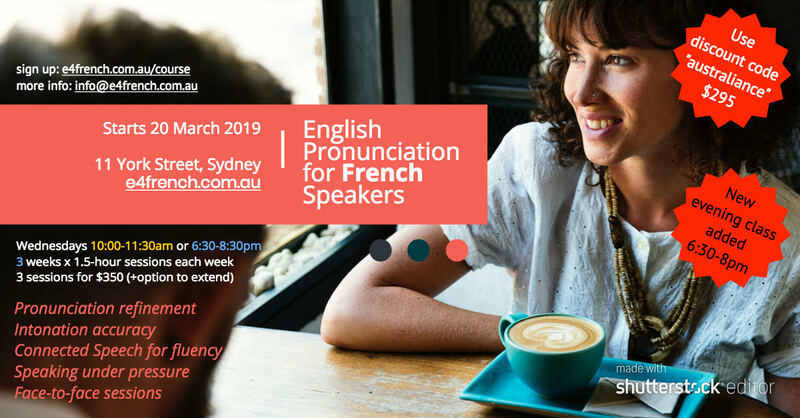 Improve your accent, become more confident and competent communicator to finally improve to the level you need for working as a professional in Australia and beyond. Bonus: Use discount code “australiance” to get $55 off now. Click here to read the 3 tips to improve your pronunciation! 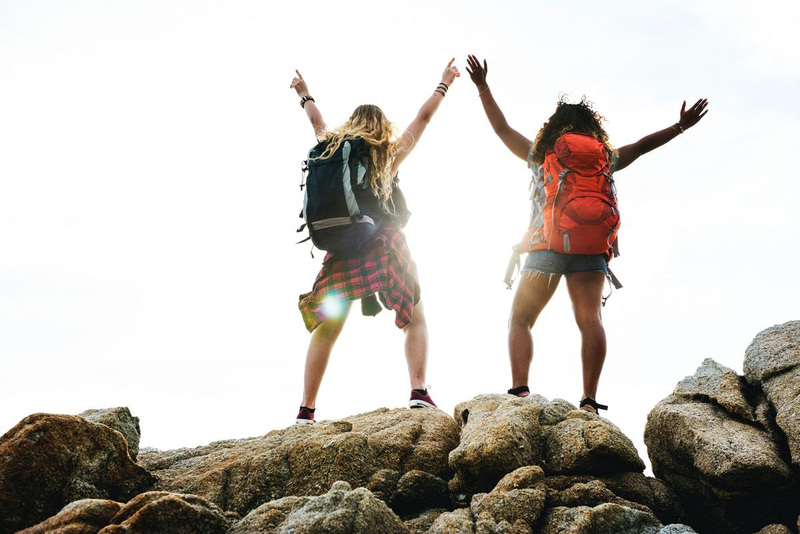 You might have caught wind of the Australian government’s controversial ‘Backpacker Tax’. Our partner, Taxback.com, is seeking the removal of this tax for citizens of the eight affected countries. Achieving this will ultimately mean that working holidaymakers from these countries will be entitled to significant refunds for taxes paid while on their working visas. For a relatively young nation, Australia has more than its fair share of events and celebrations. Recently, Sydney celebrated the 41th annual Sydney Gay and Lesbian Mardi Gras Parade and as every year the event was memorable. To give you an idea, last year 300,000 spectators filled the streets to watch over 12,000 participants take part in the world’s biggest celebration of the LGBTQI community. 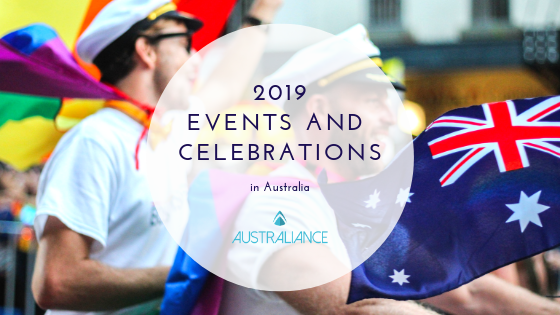 Click here to read more about Mardi Gras and other year-round events in Australia not to be missed! 11th of April, save the date. 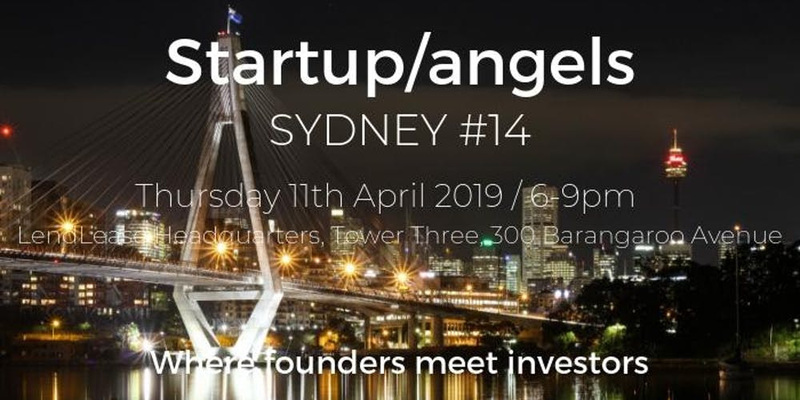 The Australiance team will attend the 34th edition of Startup & Angels, happening this year in Sydney for the 14th time. Come and meet startup founders, investors and experts talking about their inspiring journeys. B2B ROCKS 2019 will be a 2-day conference gathering over 40 speakers from leading B2B SaaS start-ups, VC firms and innovation-driven companies, sharing lessons learned and insights about disruptive technologies with up to 450 high-profile attendees. Each year, B2B Startup founders, investors, journalists and executives focusing on innovation, gather to push their business further. 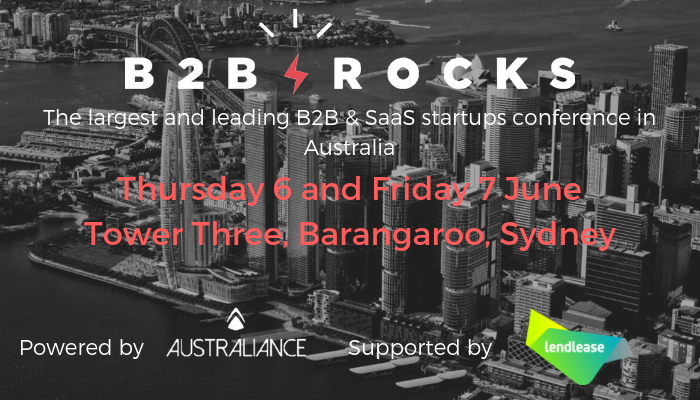 Click here to know more about B2B Rocks Sydney 2019! 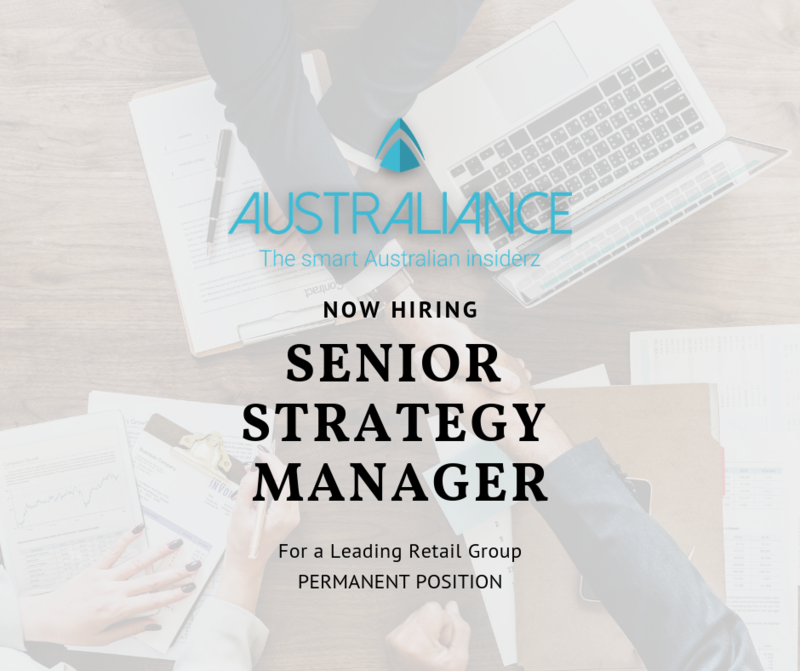 Responsible for the successful deployment of the solutions at their clients and of the value delivered to their clients, he/she builds a long-term client relationship, becoming a “trusted advisor” to senior level executives within their organization. Developing new features or enhance existing ones to always deliver more value and better technology tools to our customers. 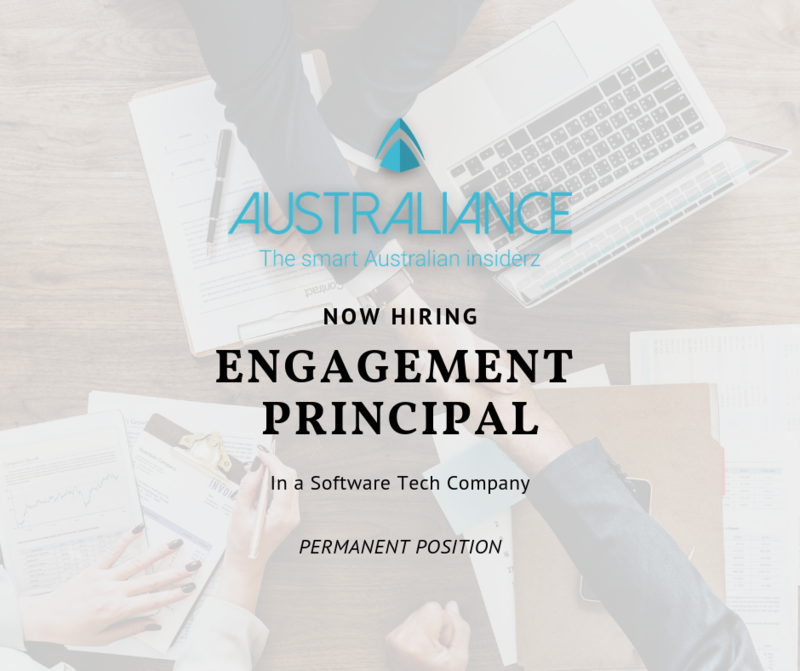 You will undertake an end to end role that will include Business Process documentation and improvements as well as testing new functionality for Customers and Brokers. 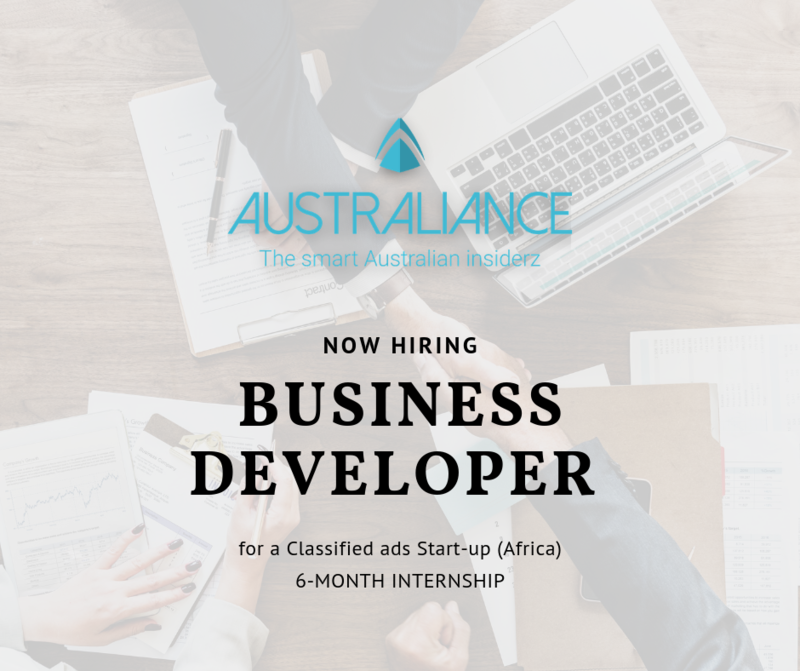 Then intern will work in a dynamic project environment following an agile methodology using our world class CRM Salesforce. 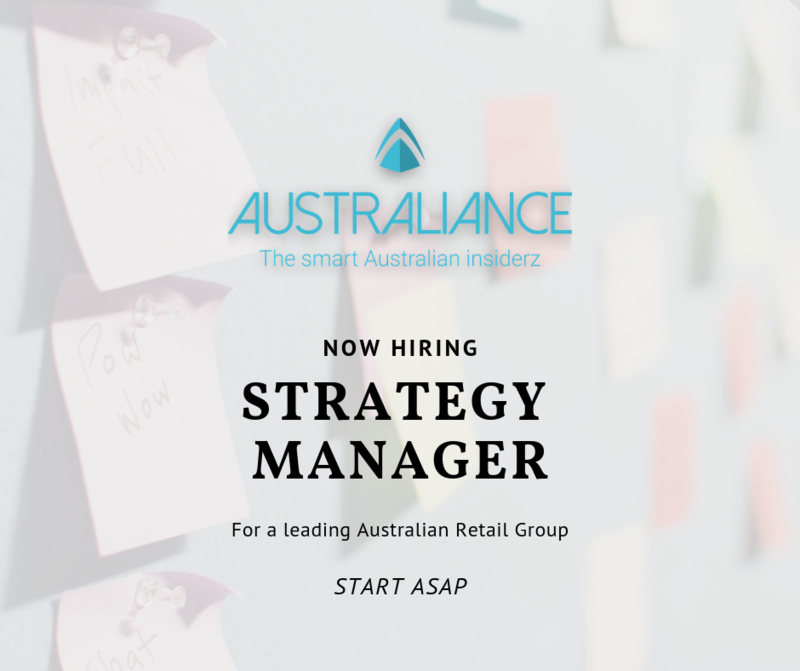 Responsible for account & client management; identify business development opportunities; market research, analyzing what the opportunities are in other geographies / for other products or use-cases; lead internal strategic initiatives; post on social media pages and blog. The two Business developers will be in charge of the analysis of the market, using the collected data to establish forecasts and dashboards regarding the development of the activity. 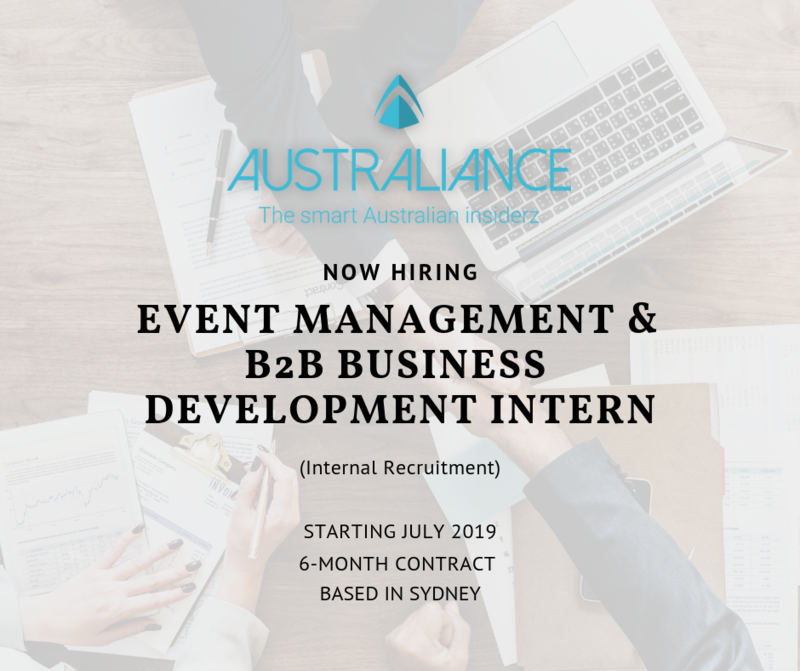 Reporting to the founder and CEO and supported by a small team to manage, you are in charge of organizing the events for our community in the B2B space (series of B2B Rocks and Start-up & Angels) and supporting the growth in the B2B consulting activities.